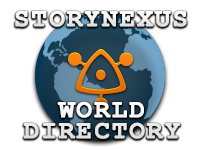 We cannot find the StoryNexus world you are after! Please choose a world from the list in the navigation bar. Poet or Assassin? Lover or Spy? Choose your fate in Fallen London, a gothic metropolis a mile beneath the surface of the earth. Freefall Creations needs you at the First Frontier. Handsome pay, convenient lodgings, great friends and all the water required to sustain life. Why not come in and talk to one of our specially trained staff? Fey magic meets garage programming in this urban fantasy. As a linguistic genius, your help is urgently requested to decode hieroglyphs and navigate the secret catacombs of ancient Guatemala. World of the Season winner! A winter-locked city. Cold guns. Starship carcasses. And now, you. A gunslinger with no name. The great American desert. The unnatural hiss of monsters. A world of floating islands in open skies. When you become a privateer captain, will you make your fortune, uncover secrets of the Builders, battle pirates, or join the war of empires? Do you want to be the very best, like no one ever was? Come catch and train them all in a unique fan fiction story where you are the star! This is a fan fiction pokémon game. That means I do not own pokémon. I am just a fan. And this story is fiction, written by a fan. A video game sensation taking the world by storm in which you accumulate rats and send these rats to other people. Contains rats, bees, ratiation, rat bees, rat rats, cookery, the most realistic gold simulation ever created in Storynexus, and rats. In the year 4081, the world has changed greatly. Technology has been upgraded greatly, with cybernetics and laser based weaponry. The planet Earth itself is in 'harmony' with the United Alliance controlling everything. Outside of the Earth, a war rages on against a race humanoid aliens, and many other new sentient species have come in contact with Earth, including the primitive Jarix or the Zen-like Kaori. Are you prepared to make your name known in a world full of new discoveries? Explore the world where conspiracy is true. Conspircrats are those that are in the know and hold the reins of invisible power. An RPG adventure in the world of Santharia.